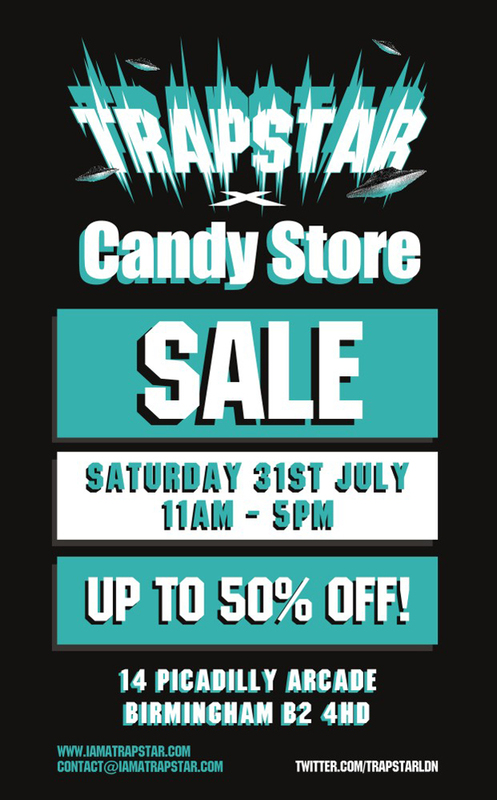 This Saturday, Trapstar invade the Picadilly Arcade for another sale at the infamous Candy Store. From 11am till 5pm, you’ll have your chance to pick up items from Trapstar’s Spring/Summer collection at up to 50% off. Full details are on the flyer above, for more on the brand check our the Trapstar blog.